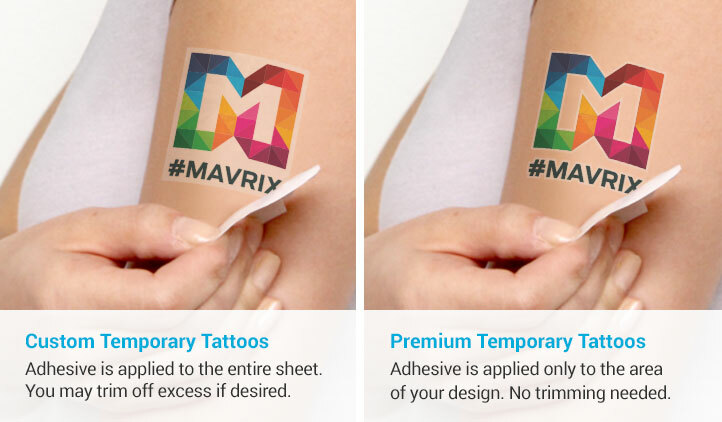 Use our online editor to create Custom Temporary Tattoos. Choose from a variety of pre-made artwork or upload your own. They are perfect for business, DIY projects, and people of all ages! Instructions are printed on the back of your tattoos. Tattoos are not image die-cut and are printed on clear film, so you can easily cut and apply your tattoo. Missing instructions? Get your temporary tattoo instructions here! Custom temporary tattoos are great for any DIY project or event! Create your temporary tattoos by uploading your own image or browse through our Tattoo Editor’s Art Gallery. At StickerYou, there’s no limit in size, shape and quantity of your tattoo order so you have the ultimate freedom and creative control when it comes to celebrating all of your special events. Are you a bridesmaid planning a bachelorette party? 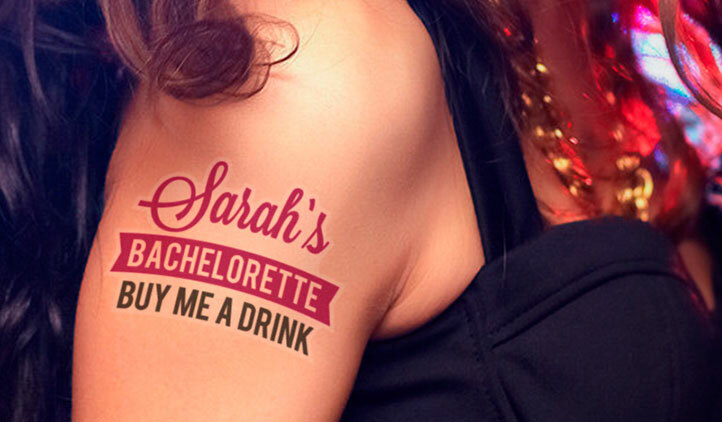 Make fun custom temporary tattoos for the whole bridal party and the bride herself with the theme of the night or even photo and quote tattoos. Going to see a concert or a game? 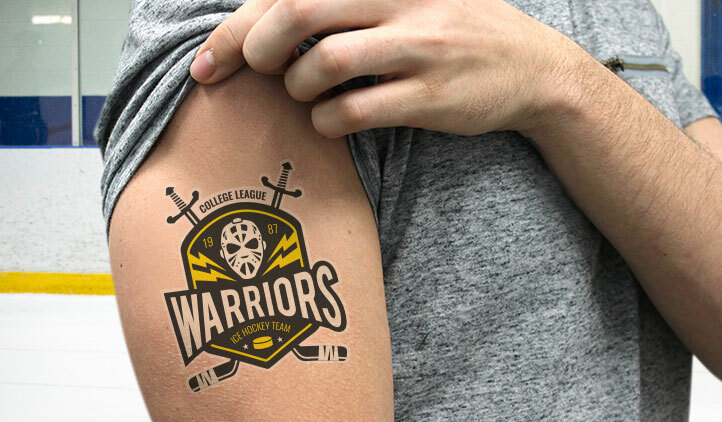 Create custom temporary tattoos to show support for your favorite artists and teams by using images of their faces, album covers, logos, mascots and more! Temporary tattoos are also great for birthday parties of all ages. If you’re planning a kids’ birthday party, make some fun party favors that kids can stick on for the party or bring home as party favors. 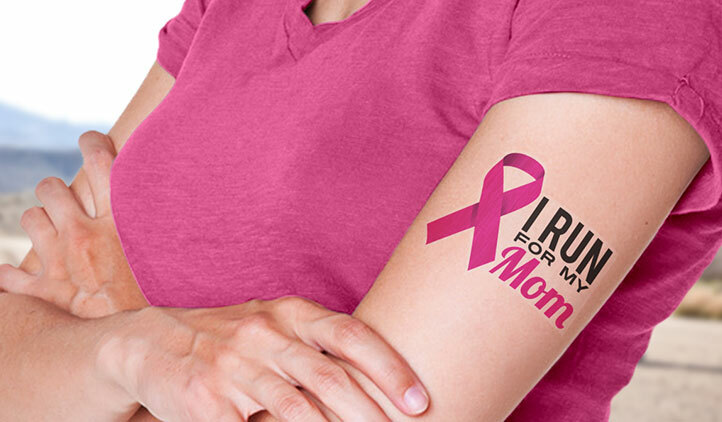 Our custom temporary tattoos are safe on the skin and can be easily removed with baby oil. Your tattoos are printed on a page and you can easily cut them out with scissors before applying. To order your own custom temporary tattoos, click on the Make Tattoos Now button above, choose whether you want to create a page with a single design or with multiple designs, then upload your image or browse through our Art Gallery’s designs. You can also choose to have them printed as individually cut handouts instead of on pages. Temporary tattoos are easy to make, easy to apply, and super fun for any music or sporting event, parties and more. Make what matters stick with StickerYou’s fun custom temporary tattoos! Q: How can I use custom temporary tattoos? A: With no limit in size, shape and quantity, you can create customized temporary tattoos for any of your DIY projects or events! StickerYou allows you to customize your temporary tattoos using any design, color, message, picture and more so you can make what matters to you stick. Create your own unique temporary tattoos for music festivals, charity events, theme park trips, family reunions, bachelorette parties, sporting events, company events and more. Our custom temporary tattoos are a great way to show off your love, spirit and support! Q: How do I apply my temporary tattoos? A: To apply your temporary tattoos, first you must make sure your hands are dry. Start by cutting out your tattoo as close to the graphic as possible. Then remove the plastic layer and place the tattoo face-down with the image side touching your skin. Using a wet cloth or sponge, cover the entire tattoo and hold it on top for 10-15 seconds– make sure the entire tattoo is wet. Finally, slide off the backing paper and let your customized tattoo air dry! Q: How long will my temporary tattoo last? A: Our custom temporary tattoos are durable and will last two to five or more days, depending on how you take care of them. They’re also waterproof and weather resistant so you can celebrate all of your special events without fear of them coming off! Q: How do I remove my custom temporary tattoo? A: There are two ways you can remove your temporary tattoo. One way is when your tattoo is dry, peel it off your skin from the edge of the tattoo. Another option is to soak a cloth with baby oil and use it to rub it off your skin. Q: Will my temporary tattoo show up on my skin properly? A: Yes, our custom temporary tattoos offer high visibility in order to show off your unique designs! To further ensure that your temporary tattoos stand out, we recommend using vibrant colors and designs. Q: Can I create specialty temporary tattoos? A: Yes, you can create specialty temporary tattoos with special effects including metallic, glitter, glow in the dark and more! Speciality custom tattoos require a minimum order of 1000. To order specialized temporary tattoos, simply fill out this custom quote form and one of our sales representatives will be in touch to help you place your order. Check out these cute and unique ways you can use temporary tattoos to announce your engagement to friends and family! Vibrant colors, easy to apply, will last at least a full waking day even under clothing. Highly recommended! I have a custom temporary tattoo made up, I wasn't sure how it would turn out and it was awesome, went on easy and looked fantastic, was a lot of fun.